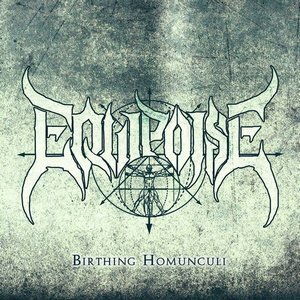 Plenty of technical death metal out there for the world to behold at this point, but fresh act Equipoise are quick to jump towards the top of your need to know list with their first effort, Birthing Homunculi. Brought together by Pennsylvanian’s Nick Padovani and Zach Hohn, the location has since expanded with the involvement of vocalist Stevie Boiser (ex-Vale of Pnath), bassist Hugo Karout (Beyond Creation), and keyboardist Jimmy Pitts. That’s not even including some of the guest vocal/solo/piano spots! 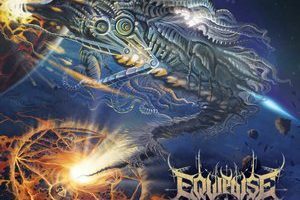 The genre’s upper echelon of talent comes to mind in describing Equipoise’s sound, with elements of Obscura, First Fragment, and Gorod leading the way (among others) with their progressive and highly technical approach. Check out “Birthing Homunculi Part II: Sigil Insidious” for the most clear example of this – gorgeous fretless bass rumblings, frantic speed runs with spiraling technical finesse, heightened synth atmosphere, and brutal vocals. But it’s not without melody and atmosphere, both of which are driving factors in keeping the explosive tech-fireworks somewhat grounded. The keys provide some added depth and layering, and clean guitar on “Alchemic Web of Deceit” and “Birthing Homunculi Part I and III” help to provide some outside-the-norms atmosphere to the EP. With an impressive starting point such as this, Equipoise seem ready to take the genre by storm. The technical ability is there, as is the actual “song” writing ability. The band should have a drummer in place for their first full-length, which should be the final piece to their puzzle. As it stands, Birthing Homunculi is brutal, technical, and memorable – everything you could ask for in a tech-death release. As an aside, the band is making no money from Birthing Homunculi, instead giving all money made from the EP/merch to Jason Becker’s Foundation, so feel free to drop them a few dollars at their Bandcamp site and spread some charity.